DICE won't be making a new Battlefield game in 2014, in case you were wondering or worrying or simply hoping that they'd keep on focusing on making Battlefield 4 better. That word comes from gaming business analyst Michael Pachter, who says he was told as much by EA management yesterday. 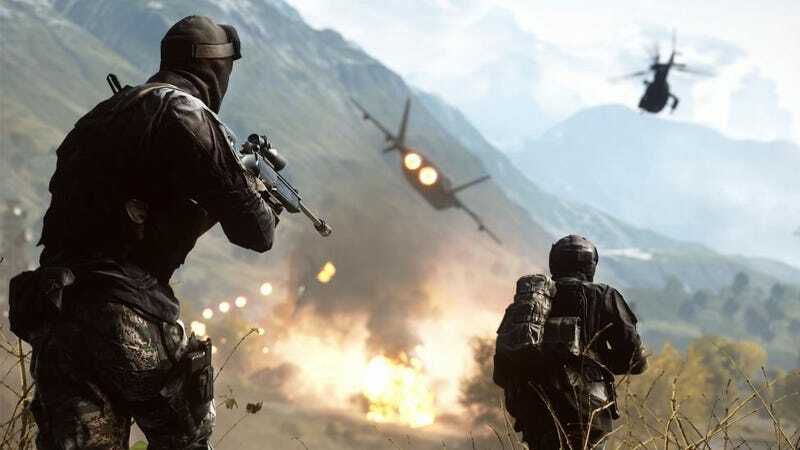 "Although they have not yet announced a version of Battlefield for FY:15," Pachter wrote in a note to investors and media, "they confirmed that our understanding is spot on and that if a version of Battlefield were to be released in FY:15, it would be developed by a studio other than DICE." FY15 = April 1, 2014-March 31, 2015. DICE, which is currently focused on fixing Battlefield 4 and then making more BF4 DLC—oh, and making Star Wars Battlefront and Mirror's Edge 2—has a full plate. Of course, you might say, DICE wouldn't be making a new Battlefield next year! They've been in an every-other-year pattern for major Battlefield games of late, trading off with the now-shelved Medal of Honor series. That shelving of MoH could be a sign that EA will do a Battlefield every year. And, why not? Activision does a Call of Duty every year, right? To pull that off, Activision gives its studios staggered two-year development cycles to pull that off. The 2014 CoD, for example, will presumably be made by Treyarch, the studio that made 2012's CoD, not 2013's. Given that DICE is a multi-team studio, it's conceivable that different DICE teams could have started working on staggered annualized released of Battlefield, but that's not what EA seems to be telling Pachter. We've reached out to EA for further clarification, too. EA will presumably put out a big military shooter against a new Call of Duty next fall. What will it be? Who will make it? Guess away. As for DICE churning out Battlefields, looks like they could use a break anyway, no?